At Absolute Plumbing and Gas Solutions Ltd, we are a family run business that offers great advice and expert central heating repair, installation and maintenance across Luton, Dunstable and Milton Keynes. When you think of home, you usually think of warmth, which is why it’s crucial to keep your central heating system in tip-top condition. It’s your biggest expense in terms of energy whether you are heating your home or your business. Radiator cold spots, creaking pipes or radiators that require constant bleeding are telltale signs that your heating system is operating poorly and costing you money. If this sounds like your property then it’s important to contact a registered expert – and that’s where we come in. The importance of safety when working with gas cannot be underplayed which is why all of our central heating engineers are Gas Safe Registered. We have a fully qualified team of engineers with decades of experience and knowledge that will ensure you receive the right advice and expert service. We will never cut corners and as such we don’t skimp on parts. 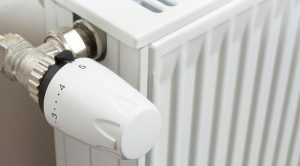 In line with our professional central heating repair service, our technicians only carry spares that are of a high-quality. Our aim is to get your house or business heating efficiently again to help save you money. What is it? Well, it’s like an intense shower for your entire central heating system designed to remove all the rust, debris and sludge that accumulates over time. Water and chemicals are flushed through the system to remove rust and limescale while using specially designed chemicals to inhibit future corrosion. On some occasions, a Powerflush may not be appropriate if the heating system is old or beyond repair. In this instance, our engineers will be able to advise you on your best course of action. For expert and friendly advice on any aspect of your central heating contact us and join our growing list of satisfied customers in the Luton, Dunstable and Milton Keynes areas.